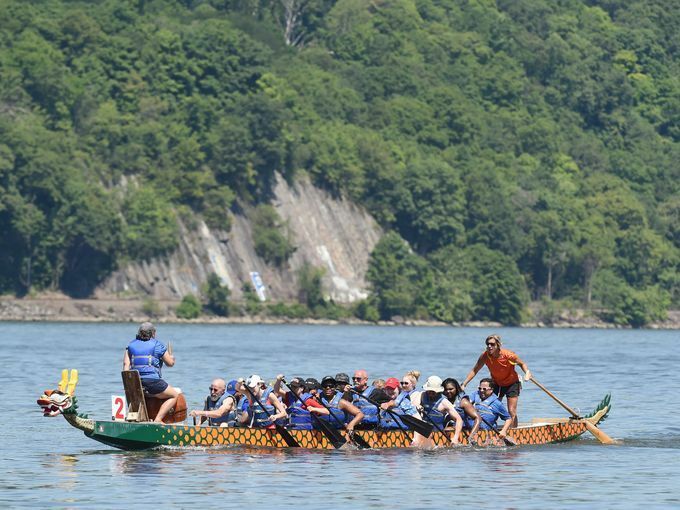 The Dutchess Dragon Boat Race & Festival has become a signature summer event for the Mid-Hudson Valley. Hosted by Habitat for Humanity of Dutchess County, all proceeds from the event go towards the non-profit's mission of building strength, stability and self-reliance through safe and affordable homeownership in our community. Habitat Dutchess partners with hard-working families to build and repair homes so they can thrive. When homeowners thrive, communities thrive. When communities thrive, we all thrive. 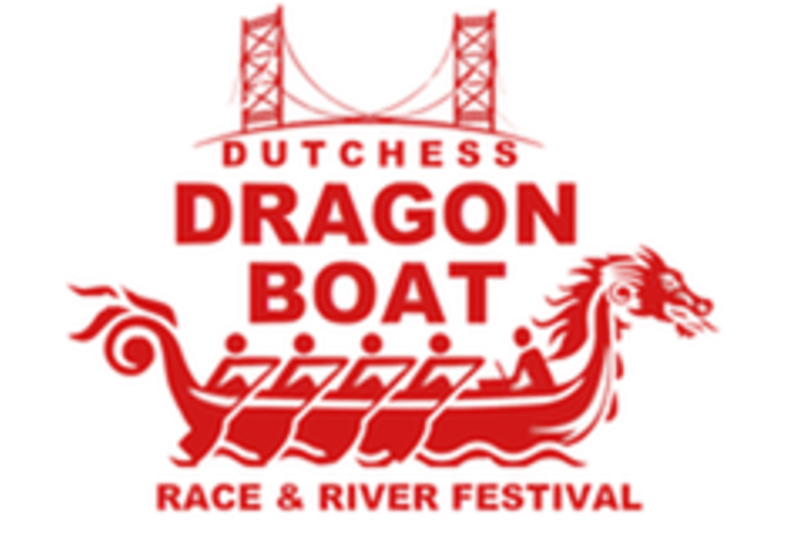 Participation in the Dutchess Dragon Boat Race & Festival directly supports that mission. 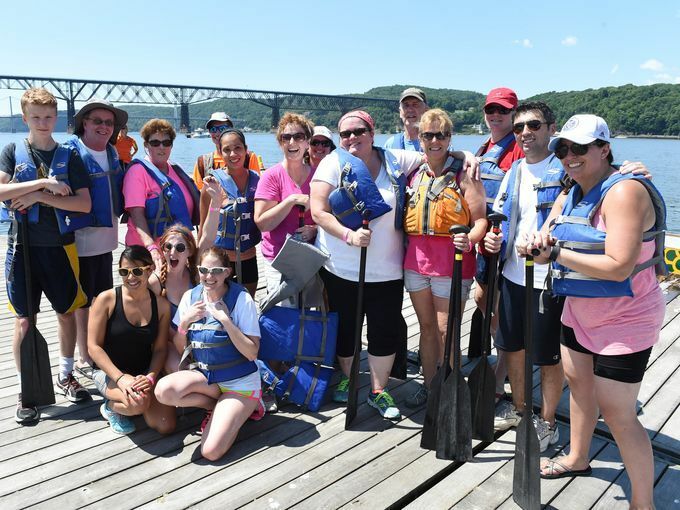 On Saturday, July 20, 2019, forty-two foot long dragon boats will be racing down the majestic Hudson River in Poughkeepsie, New York, in head-to-head competition. Spectators, along with food and merchandise vendors, will line the shore during this day-long extravaganza. Race competition could be intense amongst serious paddlers,...or it could just be for fun amongst a group of friends and co-workers. All levels of paddlers are welcome and accommodated. While this is a unique and exciting event, let’s all remember that the purpose of the Dutchess Dragon Boat Race is to support the mission of Habitat for Humanity of Dutchess County. A Fund Raising guide will be emailed to each paddler upon registration. Paddlers raising $50 in donations receive a Habitat t-shirt. Paddlers raising $100 in donations receive a Habitat travel blanket. Paddlers raising $200 in donations receive a Habitat insulated cooler/duffle. THIS EVENT IS ONLY FOR MIXED TEAMS: There MUST be 8 women and 8 men paddlers (drummer can be either) for each race. *Sponsored Teams are typically paid for by businesses or organizations. They will be acknowledged in a program guide, on the DDBR&F website (with link to their website) and on our social media pages. Sponsoring businesses will receive much public relations exposure! While there are only 16 paddlers on the boat for each race, teams can register up to 20 people and alternate paddlers in for each race (each time will have 3-4 races during the day). **Club Teams are groups that are experienced dragon boat racers that typically race several times a year. Competition amongst club teams is a bit more serious, so we have a division specifically for these teams. While there are only 16 paddlers on the boat for each race, teams can register up to 20 people and alternate paddlers in for each race (each time will have 3-4 races during the day). ***Community Team is a group of friends, family &/or co-workers that are participating for a good time and to support a worthwhile local cause. While there are only 16 paddlers on the boat for each race, teams can register up to 20 people and alternate paddlers in for each race (each time will have 3-4 races during the day). ****Individual Paddler is a person that would like to join a team!